Students are the focus of a new app designed by North Yorkshire Police to help keep them and their possessions safe as they embark on student life in the county. Produced by the force’s digital media team, NYP@Uni is an easy way for students use to help protect themselves, their homes and their stuff. The web app can be accessed using any mobile device, such as iPhone, iPad, iPod touch or any Android phone or tablet. 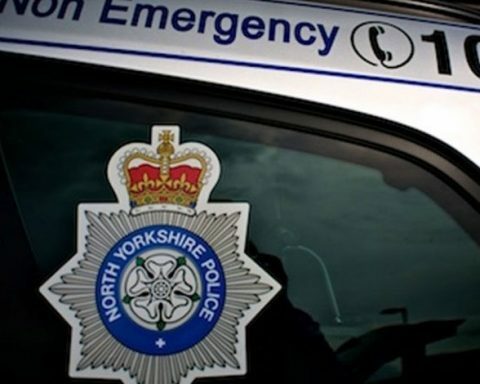 By using NYP@Uni, students can read crime prevention advice from North Yorkshire Police officers, including checklists and step-by-step guides, as well as watch YouTube videos about identity theft, personal safety and burglary. There is even a button that concerned parents can use to send a link to NYP@Uni to their son’s or daughter’s email address, mobile phone or Twitter account. Students coming to York and North Yorkshire have made a great choice of location. They are coming to the safest area in the country, but they still need to take crime prevention measures and ensure they do not make themselves or their property vulnerable to criminals. The app is a great addition to our engagement work with students and will help get our safety and security messages delivered direct to the palm of their hand. The web app also features buttons giving students key information about contacting the police, including the 101 telephone number, their nearest police station, and local Safer Neighbourhood Team. And there is a section where users can find out more about joining the Special Constabulary, a voluntary role that many students choose to undertake. NYP@Uni was developed in-house and cost the force nothing to create. To download NYP@Uni for free, simply visit uni.nyp.mobi on any phone, tablet or PC.